Emergency services have re-opened the A15 near Helpston after a two-vehicle collision this morning. 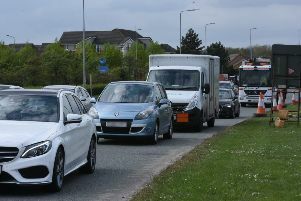 Motorists passing the scene reported one car in a ditch and another on its roof after the crash, which happened at 7am. The road was closed in both directions between the B1524 Lincoln Road and the B1443 Helpston Road. Drivers were diverted through Northborough before reaching the scene of the collision. Traffic travelling between Peterborough and Market Deeping has been affected. A Cambridgeshire police spokesman said there were no serious injuries in the collision.